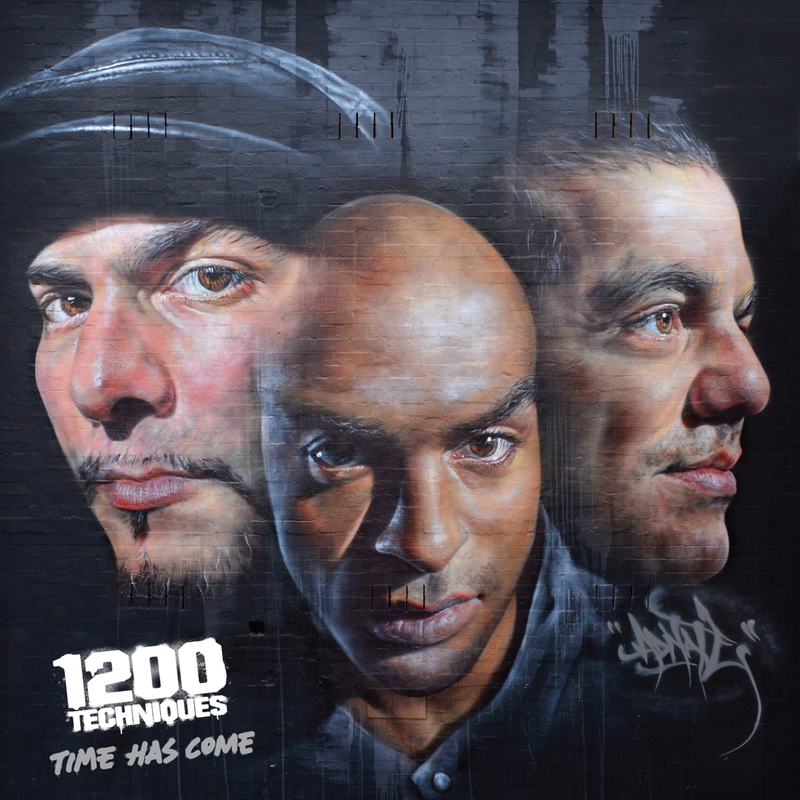 Australian hip hop pioneers, 1200 Techniques break their decade of silence with the announcement of their new EP, Time Has Come, which will be released on Friday 23 January 2015 through Rubber Records. The EP is their first new music since critically acclaimed 2004 album Consistency Theory. The first single and title track to be released from the EP, ‘Time Has Come’, is about the journey of music and life within the music industry through their eyes. “We wanted to share a bit of our story, our ups and downs for people who have been asking us on the street, and also for the young artists coming up who have no idea what to really expect”, says N’fa. Trap-free and classic 808 drums aside, founding member, DJ Peril who produced the original beat quips, “It hasn’t come out of an instant sort of hip-hop pack – like, just add milk.” Fans can stream the new track on Soundcloud and download it on iTunes from Friday 14 November. The 1200s aren’t inclined to ingratiate themselves with any urban sub-scene or emulate trendy sounds. “We jumped back on where we left off,” Peril stresses. They have transcended their hip-hop history, expanding and evolving, but the groove remains paramount on their forthcoming Time Has Come EP. “We’re just doing our own thing – and trying to do a better version of what we did last time,” adds Kemstar. 1200 Techniques remain inherently DIY, with DJ Peril producing and mixing the EP in his bedroom. “There was no big money thrown into this“. As they continue in true form, doing everything “for the love”, not the money or ego, the trio are inviting their fans to come along for the ride – launching a PledgeMusic campaign to offer an array of incentives and exclusive access to unique experiences with the band. Head here to check out the band’s message and video to fans and pre-order options ranging from: signed CD, vintage Caps and T-shirts, rare Vinyl, signed ADNATE art print, BBQ with the 1200s and a full band house concert, are available only through PledgeMusic. The EP cover artwork is a captured photograph of a landmark-size mural of the band, located in Fitzroy. The impressive piece was created by emerging artist, ADNATE (who realises his portraits in spray paint), came to fruition from an idea both he and friend, DJ Peril had upon meeting for the first time. * Remix only appears on Vinyl and CD versions.